Vulkollan® is a high-grade polyurethane elastomer based on raw materials from Bayer MaterialScience: Desmodur® 15 and special polyester polyols. The rubber-elastic material boasts outstanding mechanical load-bearing properties and dynamic load resistance. Vulkollan® is both a true classic and one of the most innovative plastics in the world. First developed in the 1950s from polyurethane (PU), invented by Otto Bayer in 1937, Vulkollan® quickly won over the industry. 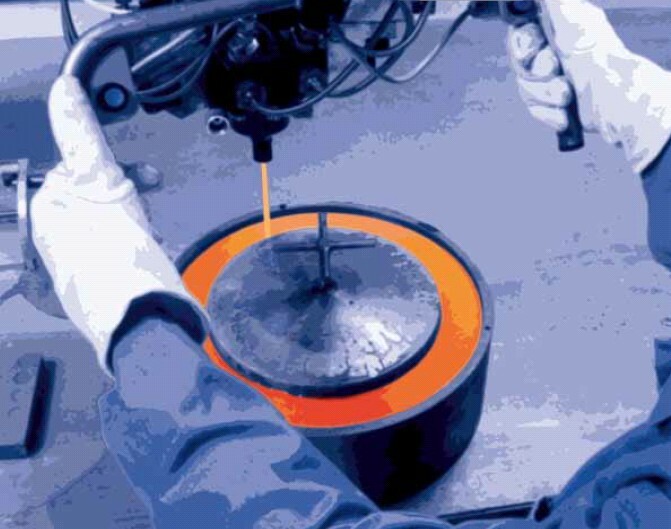 Users today can benefit from a wealth of experience with the hot-cast elastomer and take full advantage of its unique properties. Most worthy of mention in this connection are its extremely high mechanical strength and dynamic load-bearing capacity. are increasingly being replaced by Vulkollan®. material, formulated in part on the basis of the isocyanate Desmodur® 15.